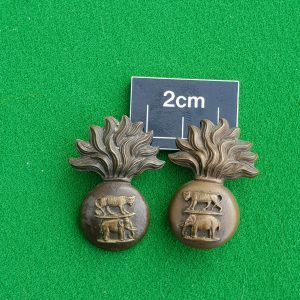 Here we have a very nice, original matched pair of elephants – the collar badges worn by the Devils Own – Connaught Rangers. 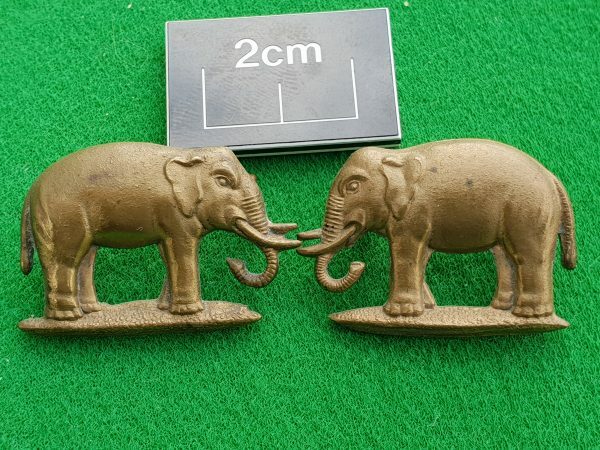 Two well made metal elephants, die struck from brass and with two lugs on the back of each badge. 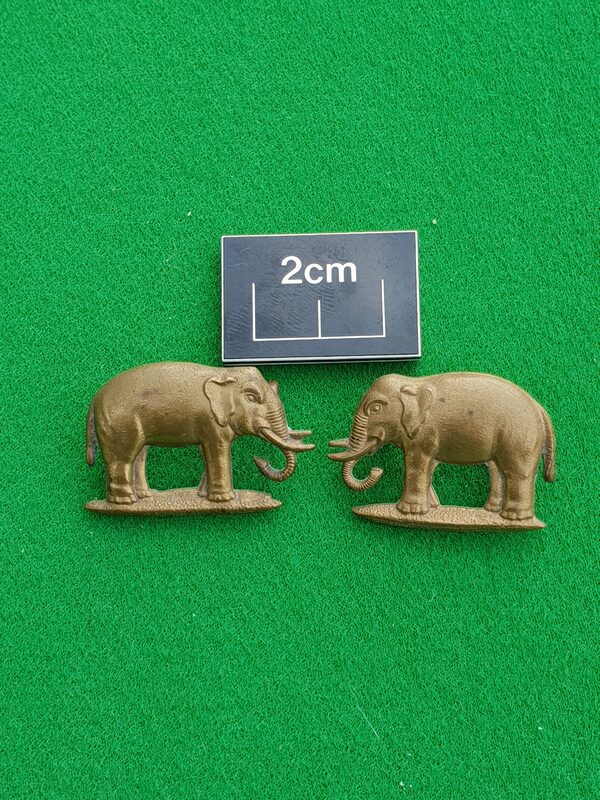 The elephants face each other and appear to be an excellent, well matched pair of Connaught Ranger collars. 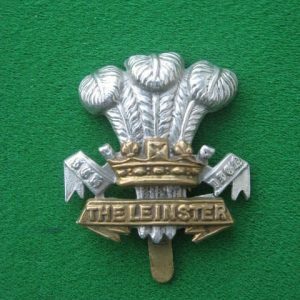 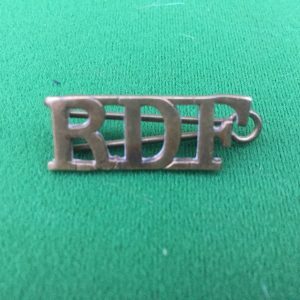 These badges were worn by an enlisted man in the regiment for many decades up to 1922 when the Connaught Rangers were disbanded..
Regimental badges help tell the history of the regiment. 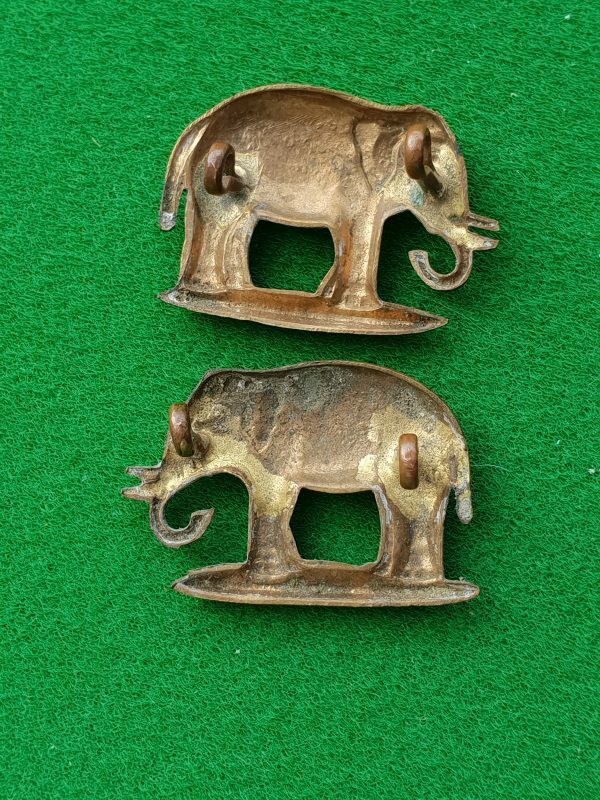 The Indian elephents shown on the Connaught Ranger collar badges reflect the service of the Rangers in 19th Century colonial India.